From the majestic unicorn to the sleek mermaid to the mighty kraken, certainly these are just tall tales or figments of our imagination…or are they? Find out when COSI opens Dragons, “Unicorns & Mermaids: Mythic Creatures” on February 23, 2019. 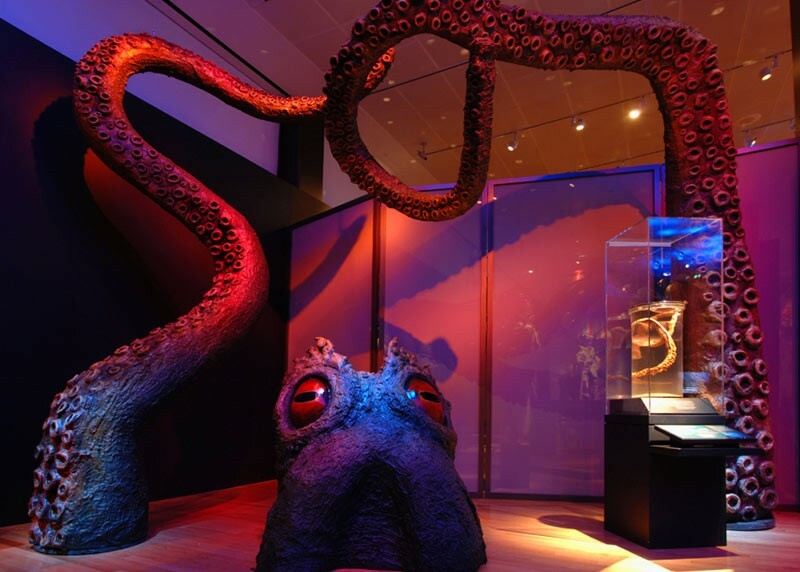 Mythic Creatures is the third traveling exhibition in a collaboration between COSI and the American Museum of Natural History in New York City. It traces the natural and cultural roots of some of the world’s most enduring mythological creatures from Asia, Europe, the Americas and beyond. The exhibition includes imaginative models, paintings and textiles, along with other cultural objects from around the world ranging from Chinese shadow puppets to Greek coins that bring to light surprising similarities and differences in the ways people around the world have been inspired by nature to envision and depict these strange and wonderful creatures. For many centuries, humans around the world have brought mythic creatures to life in stories, music, and works of art. Today these creatures, which were sometimes inspired by fossils or living animals, continue to delight us. Organized by the American Museum of Natural History in New York, this exhibition reveals the relationship between nature and legend throughout history from Pliny the Elder, who, in 77 c.e., asserted that mermaids were “no fabulous tale,” to the current sightings of Scotland’s renowned but unsubstantiated Loch Ness Monster. Mythic Creatures features models and replicas of preserved specimens from the American Museum of Natural History and other museums’ collections as well as cast fossils of prehistoric animals to investigate how they could have, through misidentification, speculation, fear, or imagination, inspired the development of some legendary creatures. The exhibition also offers numerous interactive stations, activities, videos and more.